Hideo Kojima makes trailers featuring flaming sky-whales swallowing helicopters, plasters on quotes from Roman philosophers, and brands them with fake game studio logos. He’s certainly known for his out-there ideas, and he absolutely loves to keep his fans guessing. Never was this more notable than when, in May 2000 at a small press gathering at Universal Studios, Kojima unveiled the nine-minute trailer for Metal Gear Solid 2, the sequel to Konami’s most successful game ever. 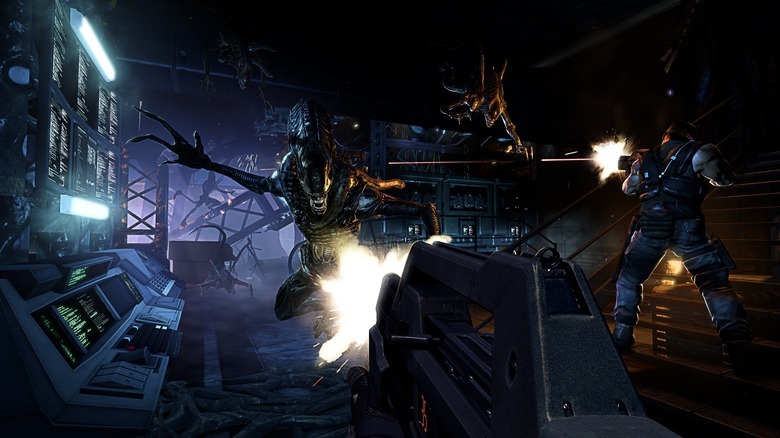 It displayed absurdly impressive graphics, sound, and enemy AI, and the attendees could scarcely believe that this was gameplay from a PlayStation 2. But Kojima insisted it was, and he was absolutely telling the truth. The actual misleading part of the trailer? Snake being the main character. The beloved, grizzled hero from the first game had quickly become an espionage icon, and fans couldn’t wait to play as him again, with Kojima happy to let them believe that that’s exactly what they would be doing. In actual fact, however, once players had made it through the intro shown in the trailer, they ended up taking the reigns of unknown pretty-boy Raiden: the antithesis of Snake in almost every way. Gamers couldn’t believe what Kojima had pulled. The gamble paid off though, with initial sales exceeding expectations, and critics hailing it as a masterpiece.